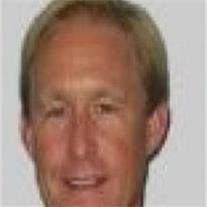 Darren McCleve, 51, passed away December 8, 2012 in Glendora, California. Memorial services are Saturday, December 15, 2012 at 12 noon at the Church of Jesus Christ of Latter-day Saints Harris Ward, 1455 North Harris Drive, Mesa, AZ 85203. Arrangements by Bunker’s Garden Chapel.